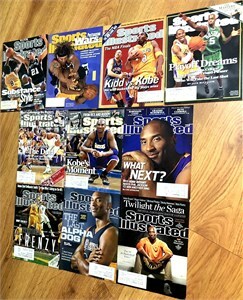 Lot of three different Sports Illustrated issues featuring Kobe Bryant on the cover: 6/25/01, 3/3/03 and 5/17/04. 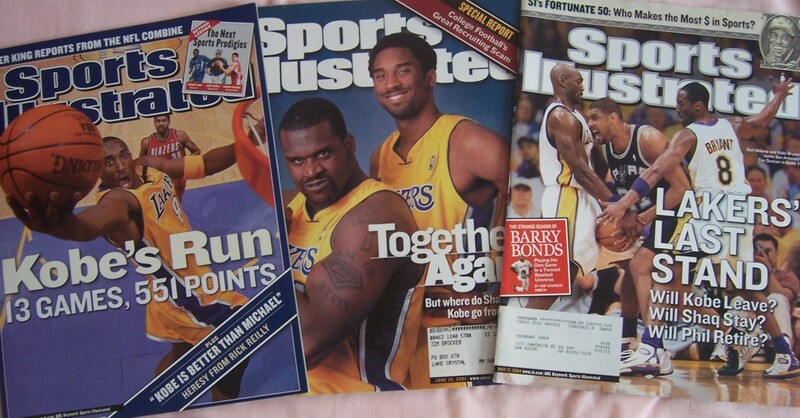 Two have subscription addresses, the 3/3/03 does not. All have very minor wear. ONLY ONE LOT LEFT.